As the celebrations of Christmas and New Year become history, many go back to their ordinary lives. The same cannot be said for Fugitives’ Drift Lodge; where 2019 has gotten off to a very busy and exciting start. The 22nd of January marked the 140th anniversary of the battles of Isandlwana and Rorke’s Drift. 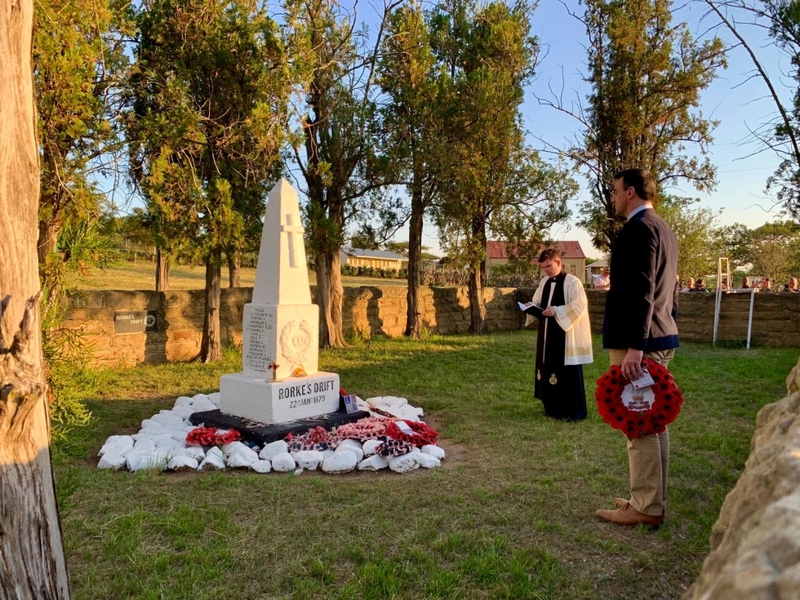 In commemoration, we were very pleased and privileged to host thirty-four officers, NCOs, and soldiers of B (Rorke’s Drift) Company First Battalion Royal Welsh for the week. 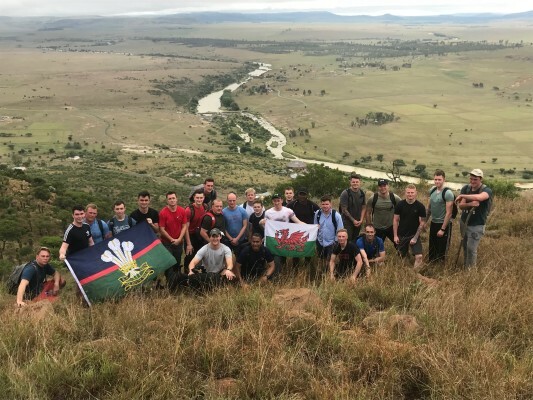 Their week in Zululand was action-packed: from tours to various Anglo-Zulu war battlefields, walking the Fugitives’ Trail, and laying wreaths at the graves of some of the brave men who fought in 1879, to a football match against the local Zulu team (in which the Welsh team were beaten a staggering 3-0!). 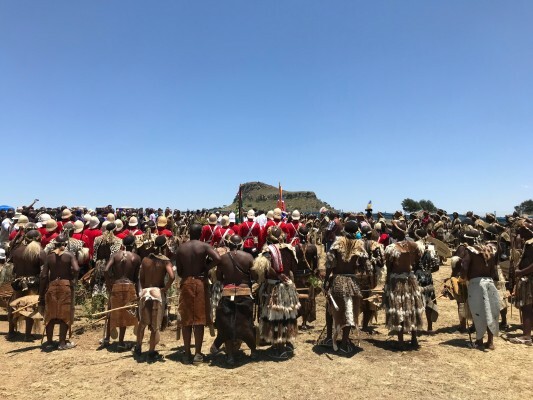 They also attended the annual commemoration ceremony at Isandlwana on the morning of the 22nd. On the evening of the anniversary, we filled our dining room and deck at the Lodge with one hundred guests as we hosted a spectacular anniversary dinner. The whole night was made unique not only by the presence of the members of the Royal Welsh, and the delicious four-course meal, but also by the presence of Qadasi and Maqhinga who played a set of contemporary and Zulu songs. Their post-dinner performance was accompanied by some dancing from some of our very own staff, making the night close to magical, and one which we shall remember for many years to come. In other news, the much-anticipated helicopter and pilot have arrived at the Lodge. Four days in, and we have already done several Battlefields by Air tours, and air transfers for guests. We look forward to many more guests adding this fantastic tour to their battlefields itinerary over the next two months.